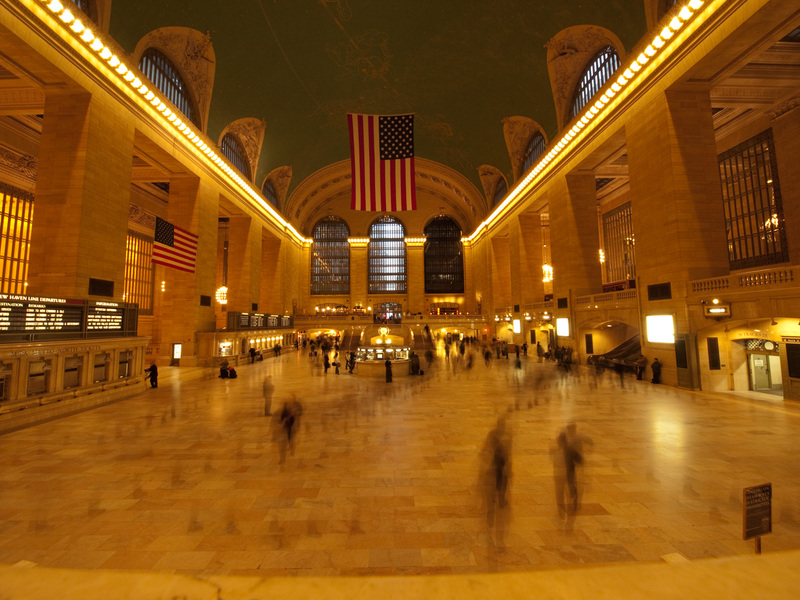 Today (Feb 2, 2013), is the 100th anniversary of Grand Central Terminal in New York City. 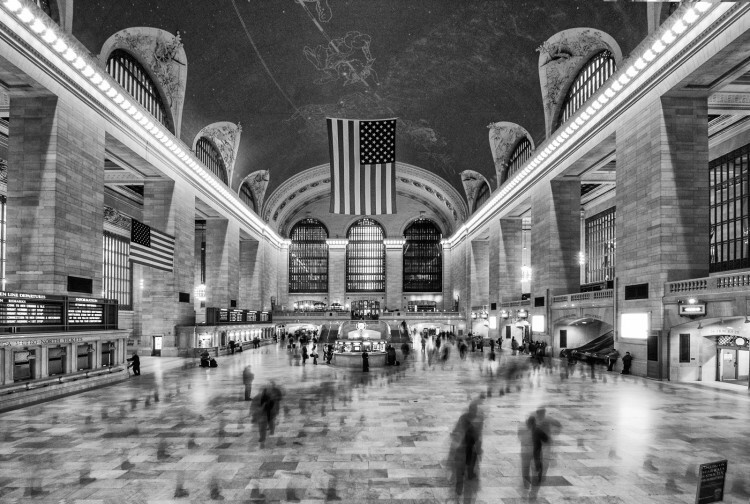 In honor of this anniversary, I present this shot of the main terminal area that I took in 2008. I wanted to capture the ‘active’ feeling of the terminal area so I chose to shoot this with a long exposure. Unfortunately I did not have a tripod (or tripod permit) so I ended up shooting this with my camera resting on the railing of one of the end stairway landings. The recorded exposure was 3.6 seconds which gave the image some nice blur, what is a bit confusing to me, however, is the repetitive feet that you see in the image. I’m not sure exactly how those were captured. Certainly people were moving so I would have expected blur, but these almost look like they were captured from a stroboscopic effect which I definitely do not remember. Processing was fairly simple. I started in Lightroom 4 and adjusted the white balance. As you can see below, the raw image is very yellow. I made a few other minor corrections in Lightroom before finishing things up in Photoshop using Silver Efex Pro 2. My main goal was to bring out the detail in the people on the main floor, especially the mysterious feet. Awesome James. So no problem shooting without a tripod there? The B&W version sings! Really great.